I apologize in advance for those of you who aren’t into the Speedmaster. But its one of my favorite lineages and for all of its unique intricacies, there is a lot of ground to cover. Although this is a relatively recent piece, dating to 2005, this Speedmaster Gemini IV presents a lot of value and enjoyment. Vintage Omega is an interesting thing. Very generally speaking, references from 1950-1970 are in high demand. 1980s references are coming into the collection window. However, there’s not a huge demand from collectors for the late 1990s and early 2000 pieces–yet. However, I think Omega was really on fire in this period. The Seamaster, Railmaster, and Speedmasters of this time, especially the limited editions, have a very distinct and beautiful vibe. Take, for instance, this Gemini IV celebration. Blue dial and bezel Speedmasters have been few and far in-between. But this specific look, with the red date, is a very handsome aesthetic. The remainder is classic Speedmaster of the 2000s. But the shade of blue is something altogether special. As is the celebratory case back. 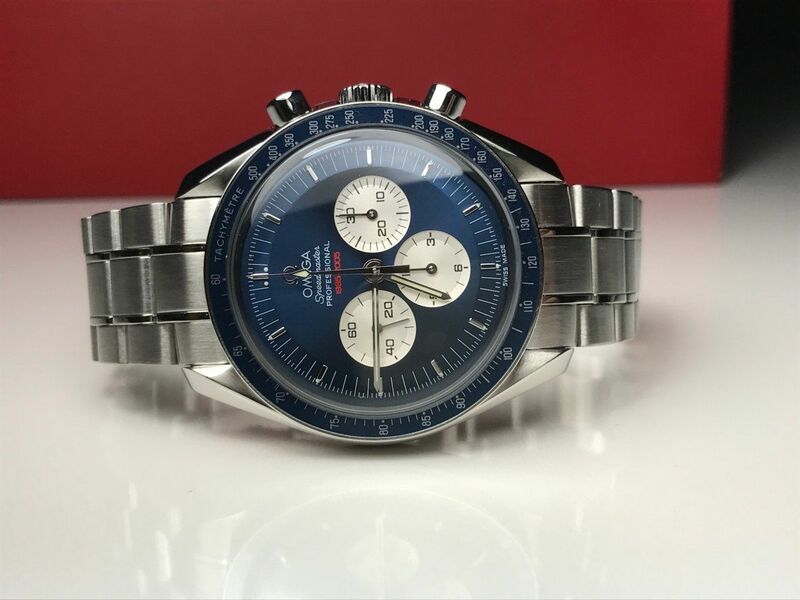 The example that has shown recently on eBay is recently serviced by Omega and unmarked. There’s nothing more to say except that, perhaps, this reference represent value to come. For the patient. Find it here for 7500 USD.